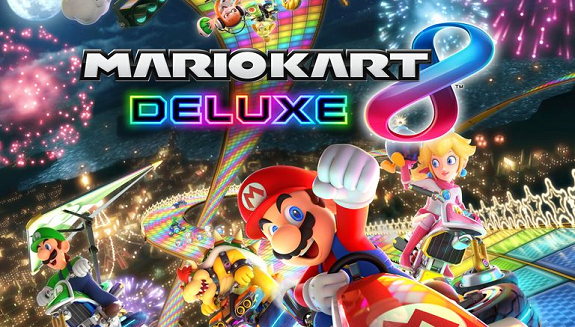 In this post, you will find additional sales data for Week 52, 2017 from Media Create and Dengeki, including Day 1 sell-through, Dengeki’s Top 50, Mario Party: The Top 100’s debut, sales for the holiday period, sales for 2017 as a whole, and more! Here’s the Media Create (and Famitsu) sales for Week 52, 2017. A much slower week than Week 51, but still dominated by the Nintendo Switch (Software and Hardware)! 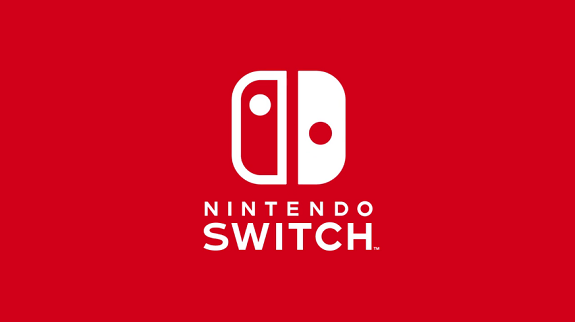 Today’s Nintendo news: two TV Commercials for Mario Party: The Top 100 in Japan, launch trailer for Style Savvy: Styling Star, Splatoon 2 x The King of Games clothing, latest video for Kirby: Battle Royale, Japanese screenshots for Mario + Rabbids Kingdom Battle, details and screenshots for Arcade Archives VS. Super Mario Bros., and latest Famitsu preview pages! Today’s Nintendo news: latest episode of Nintendo Minute, latest trailer for Mario Party: The Top 100, some Splatoon 2 tidbits, pictures and videos from the Jump Festa 2018, latest Famitsu preview pages, latest video for Kirby: Battle Royale (+Kirby holiday illustration), some ARMS tidbits, latest episode of the Yoiko x Minecraft: Nintendo Switch Edition webshow, second Send Your Letters to Mario video, and some Nintendo-themed Christmas ornaments! Today’s Nintendo news: some sales data for the Nintendo Switch and the Nintendo 3DS, video for Clam Blitz in Splatoon 2 + Accolades Trailer, latest episode of NyaNyaNya! Neko Mario Time, trailer + screenshots + pre-purchase (Japan) for Mario Party: The Top 100, video and screenshots for the Mirror Copy Ability in Kirby: Battle Royale, trailer for the Champions’ Ballad DLC for The Legend of Zelda: Breath of the Wild, and 2017 retrospective video! 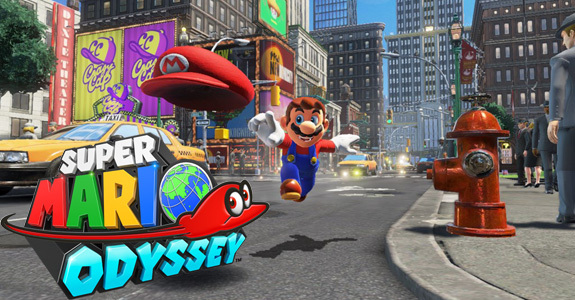 Today’s Nintendo news: Wii games on Nvidia Shield (China), latest batch of Famitsu previews, latest Splatoon 2 mini-weapon toys, latest trailer for Mario Party: The Top 100, latest commercial for Super Mario Odyssey, latest video for Kirby: Battle Royale, and latest Tool Assisted Speedrun video! Today’s Nintendo news: a couple of web commercials for the Nintendo Switch in Japan, Japanese version of the Jump Up, Super Star song from Super Mario Odyssey, latest videos for Kirby: Battle Royale and Mario Party: The Top 100, latest Famitsu previews, some Super Mario Bros. 3 pins, and latest episoe of NyaNyaNya! Neko Mario Time! 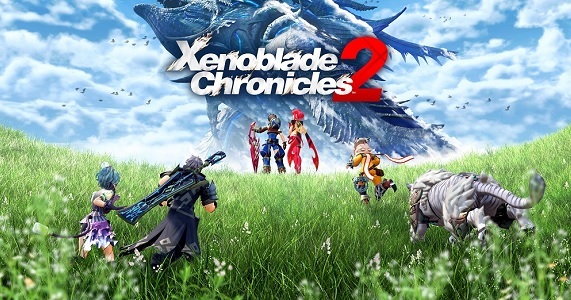 Today’s Nintendo news: Nintendo Switch sales data for Canada, Super Mario Odyssey sales in Germany, English commercial for Xenoblade Chronicles 2, latest trailer/commercial for the Nintendo Switch, latest trailer for Nintendo Presents: New Style Boutique 3 – Styling Star / Style Savvy: Styling Star, latest videos for Kirby: Battle Royale and Mario Party: The Top 100, Japanese trailer for Mario + Rabbids Kingdom Battle, and Send Your Letters to Mario! 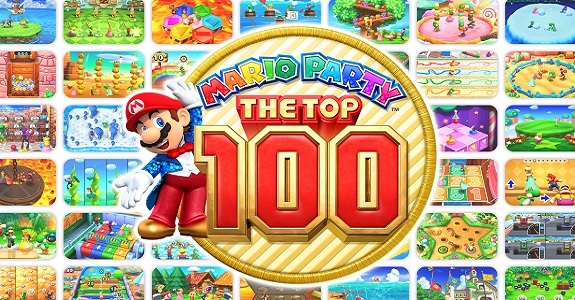 Today’s Nintendo news: Mario Party: The Top 100 now releasing next month in Europe, new attribute teased for ARMS, Xenoblade Chronicles 2 commercial, latest Famitsu preview pages, and Super Mario Odyssey x Domino King video!